Arrive at Srinagar airport and transferred to houseboat. Check in the houseboat and relax for some time. Rest of the day is at leisure for your individual activities. Overnight stay at the hotel. After Breakfast visit Shankaracharya hill and the holy temple and enjoy the Shikara ride on Dal lake then visit Char Chinar. In afternoon visit Nishat Bagh-‘The garden of pleasure’ and Shalimar Bagh-‘Abode of Love’and explore the local market for shopping in evening. Later back to the hotel. Overnight stay at the hotel. After Breakfast check out the hotel and proceed to Gulmarg. On the way view the apple orchards. On arrival at Gulmarg check in the hotel and relax for some time. Rest of the day is at leisure for your individual activities. Overnight stay at the hotel. After Breakfast proceed to full day sightseeing of Khilanmarg. On arrival enjoy one of the World Highest Cable Car ride up to the Affarwat snow point. Rest of the day is at leisure for your individual activities. Later back to Gulmarg. Overnight stay at the hotel. After Breakfast check out the hotel and proceed to Pahalgam. On the way visit avantipur ruins, Cricket bat factory and pass-by the Pampore Saffron fields. On arrival at Pahalgam check in the hotel and relax for some time. Rest of the day is at leisure for your individual activities and you can also explore the local market for shopping in evening. Later back to the hotel. Overnight stay at the hotel. After Breakfast proceed to half day sightseeing of Chandanwari a magnificent view of Lidder valley. Visit Aru Valley. Rest of the day is at leisure for your individual activities. Later back to Pahalgam Overnight stay at the hotel. After Breakfast check out the hotel and proceed to Katra. On arrival at Katra check in the hotel and relax for some time. In evening start trek to Vaishno Devi Temple. 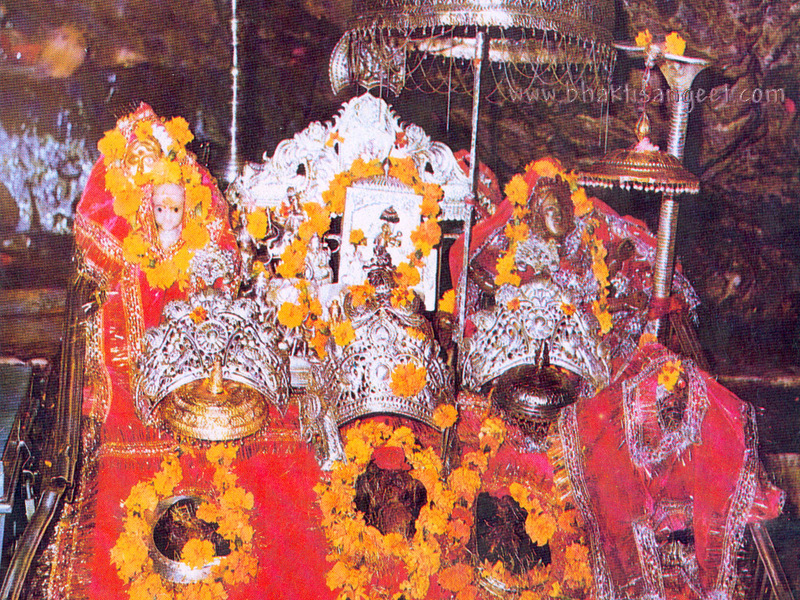 After Darshan of Vaishnodevi Temple start trek to Katra. Rest of the day is at leisure for your individual activities. Overnight stay at the hotel. After Breakfast check out the hotel and proceed to Jammu to board a flight for your onwards journey. Cost of economy class return airfare from Mumbai / region (if specifically mentioned) for Airport to Airport Tours. In case of Pilgrimage tours cost of horse back, Doli, Helicopter (unless specifically mentioned), chopper etc. If you have not decided yet or wants to customize tour itinerary or hotels listed above in "Kashmir Vaishno Devi Premium Tour Package By Kesari", then we can change the travel itinerary and make a personalized, tailor-made holiday package, especially for you. We can modify this travel package as per your itinerary, budget, duration and the tourist places you would like to visit, including transportation and airfare should be included or not. Please fill the form below to contact us.